DONT MISS THIS ONE, CORNER LOT WITH CLOSE ACCESS TO THE BEACH! 4 BEDROOMS, OVER 2000 SF, SPLIT FLOORPLAN, UPDATED KITCHEN WITH GRANITE COUNTERTOPS AND BATHS, NEW METAL ROOF 2018, PLUMBING RE-DONE. EXTRA LARGE LAUNDRY ROOM WITH STORAGE, DEEP POOL AND ADULT SWINGSET. 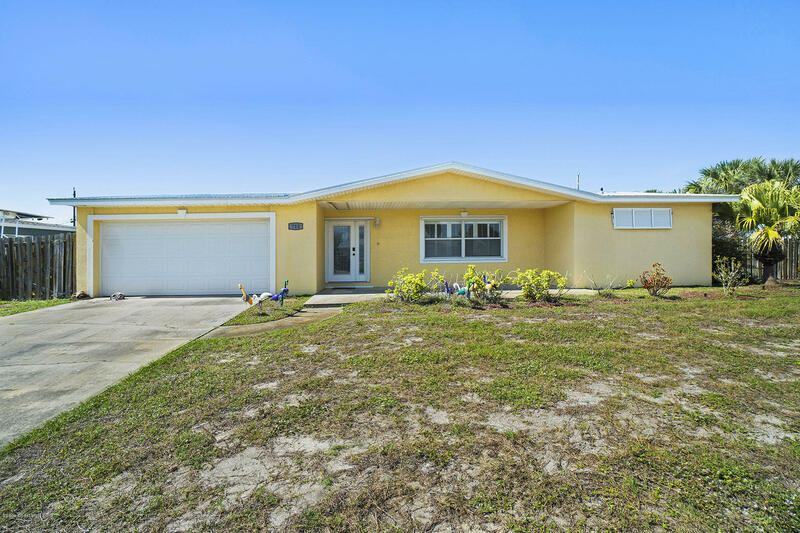 NEIGHBORHOOD IS JUST 6 BLOCKS TO THE BEACH WITH LIBRARY, TENNIS COURTS, DOG PARK, SPORTS FIELDS, JUNGLE GYM NEARBY ON SIDEWALK LINED STREETS IN EXCELLENT SCHOOL DISTRICT.ONE HOUR FROM ORLANDO, 20 MINUTES TO CAPE CANAVERAL AND JUST 10 MINUTES TO PATRICK AIR FORCE BASE. BEACHSIDE LIVING IN A FAMILY FRIENDLY NEIGHBORHOOD WITH TOP NOTCH POLICE PROTECTION AND EMERGENCY RESPONSE TIME. RANKS AS FLORIDA'S SAFEST CITY. Needs a little TLC. Ready for your memory making! Come see today! !